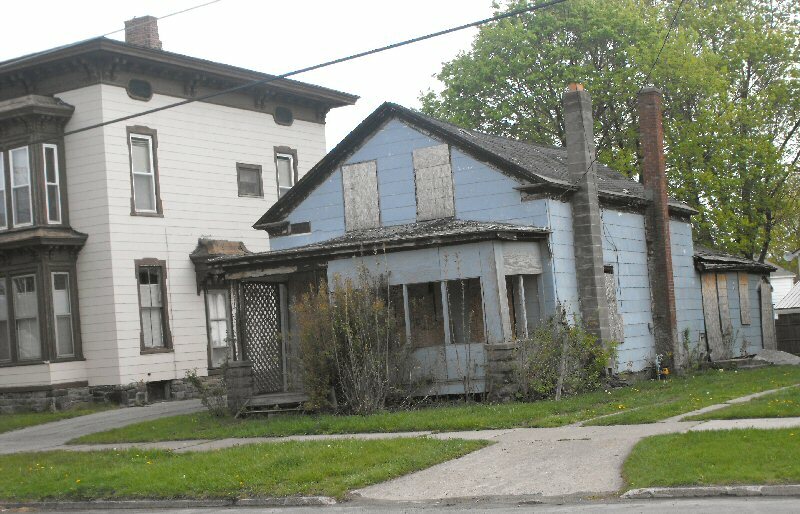 OSWEGO, NY – A group of city officials got a glimpse of the good, bad and the ugly on Oswego’s eastside Wednesday. 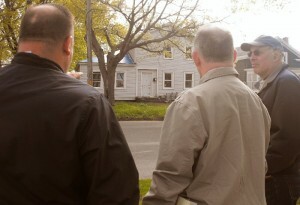 Second Ward Councilor Mike Myers, left, points out a property in his ward Wednesday. Looking on are First Ward Councilor Fran Enwright, right, and Neal Smith, code enforcement. Second Ward Councilor Mike Myers headed up the tour of several neighborhoods in his ward, on the north and south side of Bridge Street. Mayor Tom Gillen, First Ward Councilor Fran Enwright, Seventh Ward Councilor (and Council President) Ron Kaplewicz joined him for the informational tour. Also participating was City Engineer (and Zoning Administrator) Tony Leotta, Director of Building and Safety Code Enforcement Neal Smith and (briefly), Tourism Director Fred Crisafulli. The trek originated in the lower level of the Mid-Town Parking Lot. City officials got to see the varying conditions of many properties within the ward. The structural condition of the site was a concern for the councilors. As the group walked through the different neighborhoods, they pointed out properties that were concerns and those that were well-cared for by their owners. 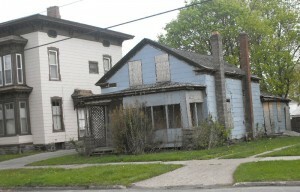 “You can tell which ones are owner-occupied,” Smith said indicating a nice looking house with a manicured lawn and flowers. He also pointed out some rental properties that were in good condition. 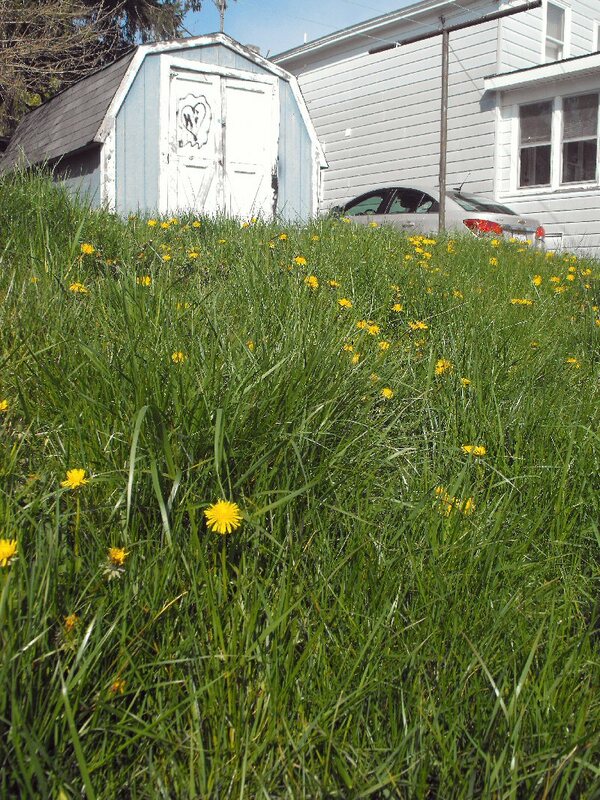 Tall grass and weeds were issues at some locations in the ward. It is something that pops up in every ward, city officials noted. Some of the properties weren’t as nice, however. He said the city needs to enforce the laws on the books to clean up the neighborhoods. The recent local law requiring landlords or their agents to live within 25 miles of City Hall is a good start, he added. The city, recently, has been rather successful in collecting fines from violators, usually around $500, he said. 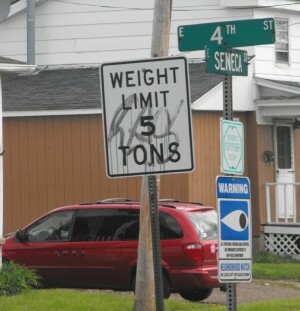 Enwright suggested increasing the amount of the fine sought by the city. 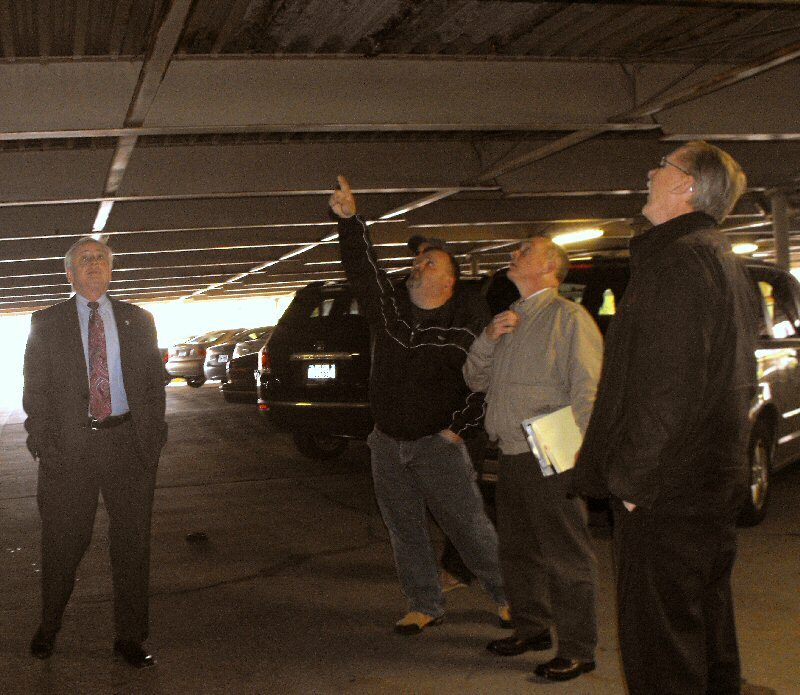 Second Ward Councilor Mike Myers, center left, points out a spot in the lower level of the Mid-Town parking garage to Neal Smith, director of code enforcement, center right. Looking on are Mayor Tom Gillen, left, and Seventh Ward Councilor Ron Kaplewicz, right. “It’s nice that the people see us out here, see that we’re taking an interest in the ward. We want to see what is going on, where the needs are,” Myers said. “There were some things that need to be tweaked,” Kaplewicz said, nodding toward Smith who had taken notes at various properties regarding problems ranging from tall grass to unlicensed vehicles to structural problems. 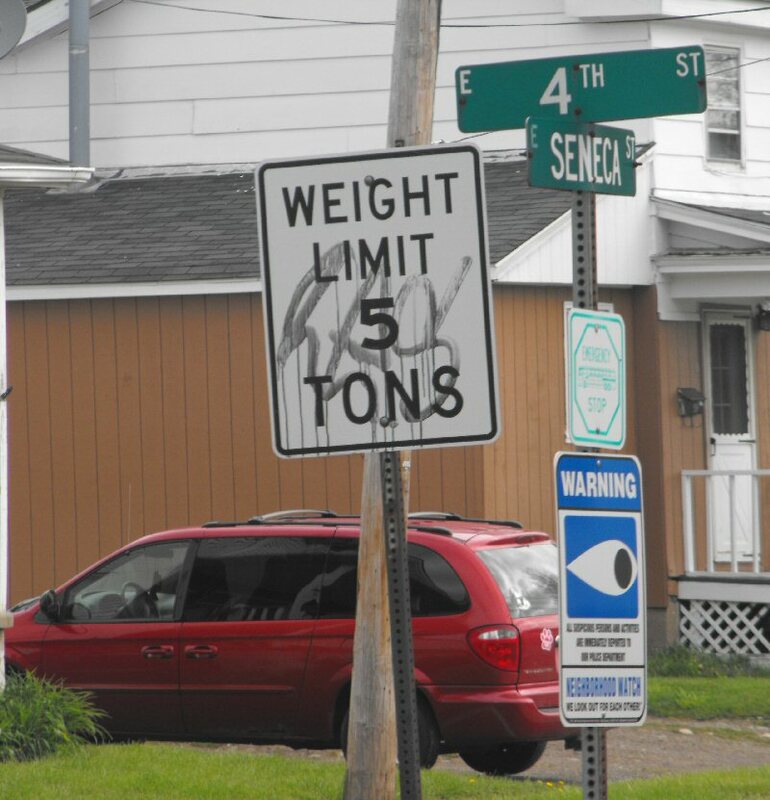 A sign was vandalized with paint. Walks will also be scheduled in various other wards, they said.